Home SEO About Keyword Density? As a blogger you need to familiar with SEO, And I know you do. SEO or Search Engine Optimization can be divided into 2 groups as On-site SEO and Off-site SEO. There are so many things come under both divisions of SEO. First of all Keyword Density is included in On-site SEO. So if you’re looking for ways to optimize your content for Search Engines while delivering cracking content to readers, Certainly you need to think about this point. So what is this Keyword Density? Keyword Density, You may be heard this thing number of times when reading about On-site SEO articles. 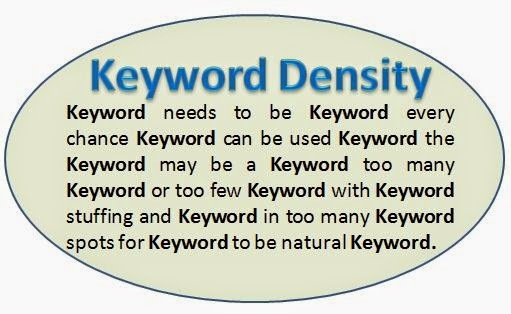 But what is this keyword density means? What is the use of this? I’ll answer all these questions now. Keyword Density means number of times that a particular keyword appears in a post. This is so important factor. There are so many tools to measure Keyword Density of your post. I’ll mention some of them at the end of the post. Most of these tools give it as a percentage. It is calculated by this way: Keyword Appeared Number/Total Number of Words in the Post X 100 = Keyword Density Percentage. You write your blog posts with the aim of getting some decent amount of traffic. For me I always looking to get some organic visitors to my all blog posts than any other kind of visitors. As I said above, Keyword Density comes under On-site SEO. You need to take care of your Keyword Density of your all posts. When you write a post, try to decide a Keyword or Key Phrase for the post. It should be the primary keyword for that post. Normally I find my primary Keyword or Key Phrase after finishing my post. And you can decide it by the topic which you are writing in your post. Now make sure you add that phrase or word number of times in your post. This increase your relevancy in search result for that keyword or key phrase. There’s a rule, Everything is must be keep at best point. Trouble starts to stand when it is high and when it is low. So you need to keep your Keyword Density at a good percentage. If you increase it to a high amount, it will lead your blog post to be get penalized by Search Engines. But if you don’t get it to a enough percentage then you’ll lose some organic visitors who coming from search engines. So keep in mind not to increase your Keyword Density higher than 5%. If you increase more than 10% there are more chances to catch your post as a spammy post by search engines. But don’t lower that percentage below 3%. Always try to keep your Keyword Density to 4%. Don’t try to Keyword Stuff as it’ll put you in a risk. As there’s a risk, you need to take care of your Keyword Density whether it has correct percentage. I said I’ll give you tools to check your Keyword Density. The first and the best one I love to use is Yoast WordPress SEO Plugin for WordPress. After I finished my post I enter my Primary Keyword or Keyphrase in that plugin. Then it gives me the percentage and it’s opinion about that percentage. There are more tools that you can measure density of every word you wrote on a post.